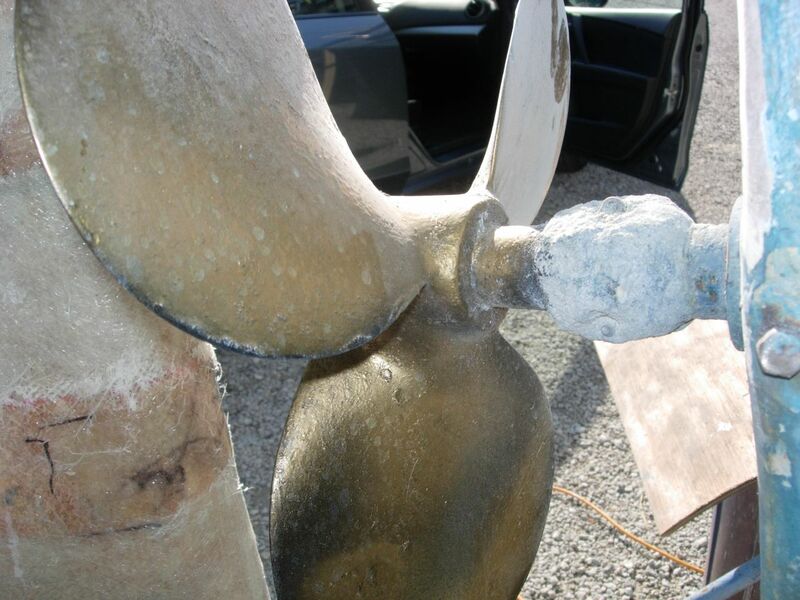 The owner of this propeller has his boat on the hard and is doing some work himself. Many of the other boats in this yard have propellers that have been cleaned and even polished to a nice, bright bronze. I saw this boat when it first arrived, and it had obviously been neglected for some time. The prop was covered in barnacles. It seems that the owner looked around; saw the bright wheels (propellers) on the boats around him, and formulated a plan to make his look like the others. That plan obviously involved a can of shiny, metallic-colored spray paint. If you click on the picture above, you can see the spray paint overspray on the shaft. Well, that is a quick way to get a shiny propeller, but I don’t think the spray paint is going to hold up well underwater. It also seems that he is missing the point of cleaning up the propeller–to get better motoring efficiency. Or, could it be that this guy knows something I don’t?